Naperville Exterior, Inc. is the leading roofing damage contractor serving the Greater Chicago Metropolitan Area since 2002. Our skilled contractors are certified and trained to handle some of the most extreme roofing storm damage, roof hail damage, and roofing wind damage. Naperville Exterior is proud of the craftsmanship we put into every job and the high quality products we use. That is why we take our time with every roofing damage project to ensure we provide excellent work each time. We have no doubt we will find a resolution no matter how much roofing damage there is. We inspect all areas of the roof and surrounding construction. Naperville Exterior takes their time and won’t take any shortcuts. We run our business on honesty and that is why residents of Aurora trust and choose Naperville Exterior. 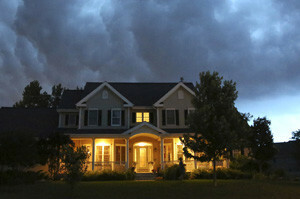 If you’ve experience roofing damage in Aurora and need certified contractors call us now! Aurora, Illinois is located in Kane County, and is the second largest city in Illinois with a population of 197,000. Aurora is not only part of Kane County, but DuPage, Will and Kendall County as well. Just 18 miles northwest of Naperville Exterior Aurora residents have been reaping the benefits of our cost effective, high quality services repairing roofing damage, roofing storm damage, roof hail damage and roofing wind damage. Aurora residents know they can trust Naperville Exterior because they are certified contractors. Naperville Exterior knows we will surpass the expectations of our Aurora customers, especially with our exceptional workmanship at our low costs. Naperville Exterior has been increasing the overall look of Aurora residents home and their curb value with their roofing damage repair for over 10 years. What makes our roofing damage repairs even better is their lifetime warranty which are 100% transferable and are always supported. With over 20 combined years of experience our certified contractors have been improving roofs affected by roofing damage, roofing storm damage, roof hail damage and roofing wind damage in Aurora. You won’t find a more affordable and qualified contractor in the business, so don’t hesitate to contact Naperville Exterior! Call Naperville Exterior, Inc. today at (630) 254-4831 to schedule your FREE estimate with our guaranteed contractors.